Minicine are thrilled to present this screening in partnership with Leeds comedy festival: Laughter Lines. Laughter Lines is a 15-show festival that showcases some of the best up-and-coming com­edy talent around, alongside the most exciting and impressive headline acts in the country – all presented in some of the best venues Leeds has to offer. 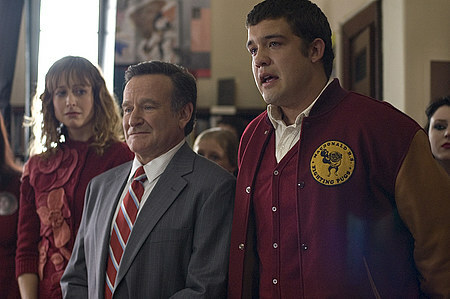 For our part in the festival we will be screening World’s Greatest Dad (2009): A high school poetry teacher and single father discovers that the thing he covets most in life may not be what makes him truly happy in this pitch-black comedy directed by Bobcat Goldthwait, and starring Robin Williams. Tickets for this screening are £5, get your tickets here. This screening will be at our usual home at the lovely Palace Picturehouse in Armley Mills. For more info on the venue and how to get there, click here. For more on what Laughter Lines have going on see their website here.